We have a SPECIES SPECIFIC DIET…so what is it? 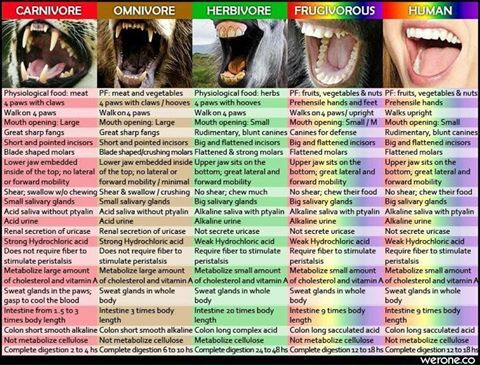 NO animal in nature cooks there food and every species has a species specific diet, and humans are not an exception. We have just evolved so far past our instincts to modern life we have forgotten how to eat instinctively. We consume “foods” that are unnatural and denatured because we have seasoning, salt, ovens and an addictive tastes which stops our instincts for health and survival now. We have trained our brains to want the addictive foods over our natural foods. We feed our parasites over feeding our cells. We are slowly killing ourselves with what we eat and asking why are we so sick, tired and not healing? So let’s break it down…. MEAT: it’s dead tissue that leaves behind acid ash that destroys the colon, and creates prolapsed bowels, cancer, putrefies and leaves behind worms and parasites, it has too large of protein molecules for the kidneys to handle, and can deteriorate your bones, and send you into dialysis fast if abused. Meat feeds parasites not your cells. To make this palatable you must cook it which changes the chemical compound making flash a toxin on the body and addictive due to the oils, salts and seasoning used to disguise the taste of raw rotting flesh. GROSS! FRUIT: so it leaves humans in a natural environment designed with hands to pick, peel, and eat a food source straight from the plant or trees without having to do anything too it….that is easily digestible, detoxifying, powerful and packed with minerals, proteins, fats, carbohydrates and enzymes a complete whole food….FRUITS, BERRIES, MELONS, TENDER LEAFY GREENS AND SOFT TENDER YOUNG VEGETABLES ARE OUR OPTIMUM FOOD…! With some small amounts of germinated, sprouted seeds and legumes and occasionally nuts if your body digests them. Returning too this lifestyle now in our toxic world…will allow you to heal all you face and thrive! 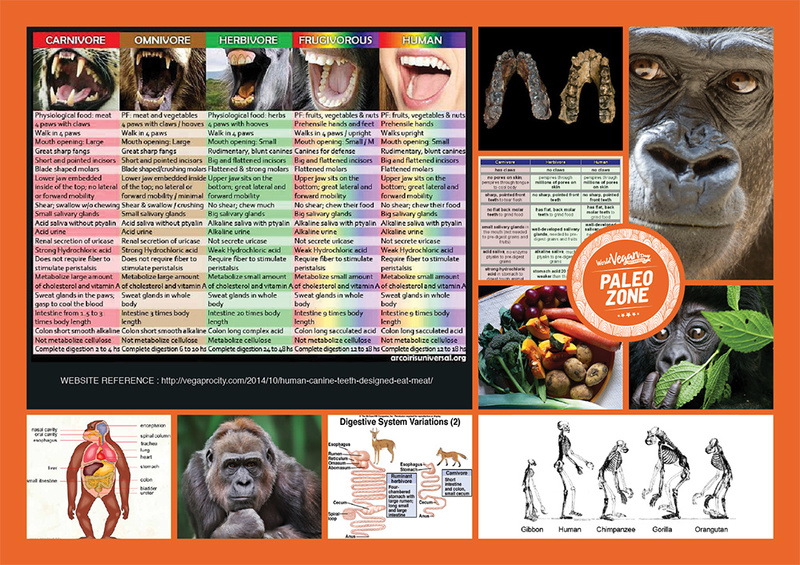 https://nourishtohealth.com.au/wp-content/uploads/2017/08/vegan-paleo-jaw-structures.jpg 706 1000 Hannah Miles https://nourishtohealth.com.au/wp-content/uploads/2016/12/cropped-nth-watercolour-banner-logo-tagline-social-media-300x114.jpg Hannah Miles2017-08-19 12:14:312018-01-29 07:43:54We have a SPECIES SPECIFIC DIET...so what is it? DIGESTION TIME OF VARIOUS FOODS. https://nourishtohealth.com.au/wp-content/uploads/2017/03/shutterstock_389740282.jpg 664 1000 Hannah Miles https://nourishtohealth.com.au/wp-content/uploads/2016/12/cropped-nth-watercolour-banner-logo-tagline-social-media-300x114.jpg Hannah Miles2017-03-26 17:29:072018-01-29 07:53:27DIGESTION TIME OF VARIOUS FOODS. HEALING symptoms associated with AUTISM is POSSIBLE – steps of how I did it and how you can too! I am not a doctor and these are guidelines and practices to which I have followed to heal my sons. Please consult your Doctor or Naturopath before trying any of these. Ok that out the way . . . we need to get the message out that many cases The symptoms associated with Autism can be reversed especially vaccine related Autism!! Why does one child get vaccinated and presents with Autism and another is “fine”? The gut micro-biome holds the key…asthma, ear infections, colic, croup, food allergies, sensory processing and skin conditions are all ‘pre’ autism symptoms. What do I mean by that? Well they are signs the gut and brain is under pressure and that anything can push the body over the edge – vaccines, a poor diet, stress in the home, a trauma ect. Even if it doesn’t push the body to displaying autism symptoms, you can see a life of illness ahead leading to auto-immune issues and eventually cancers ect….everything is connected and the body tries to show you it’s under pressure. We must learn to listen and stop allowing society to tell us these are normal childhood illnesses. THEY ARE BLOODY WELL NOT! They are signs of a toxic body under pressure. . .
Autism like any illness or disease is a collection of symptoms that shows the body needs to detoxify. You detoxify the body, the symptoms drop away and the body returns to health. It is that simple! Autism is separate to personalty or family traits and no amount of detoxifying the body can change personalty -this is about removing daily symptoms that affect your child’s life. • Removing and cleansing the body of parasites, viruses, candida overgrowths, yeast overgrowths and worms by alkalising the body through a vegan plant based diet high in raw living foods and using natural tools like zeolite, broccoli sprouts, barley grass powder, cell food, herbs, clays, detox smoothies and greens and many more even cannabis oil. • Removing heavy metals from the organs and blood through chelation, either with foods alone like detox smoothies or and green juices or natural herbs or homeopathy or all together. • Work on deficiencies within the cells and use foods to replace them and homeopathy. • Nourish the body with real whole foods ONLY, taking the pressure of the gut and nervous system. • Remove strictly ALL grains, dairy, high cooked foods like crackers, muffins, cookies, breads and biscuits void of nutrients (even gluten free ones and homemade), sugars (even natural ones like honey), salt, coffee, oils, chocolate and cacao, synthetic supplements, powders and processed foods. • Work on re-wiring the brain and calming the nervous system through meditation, sound healing, music, light healing, early interventions, positive affirmations, Reiki, energy work, massage, osteopaths, Son Rise programs, unconditional love and acceptance and the right environment at home and school with the right people around them. • Remove toxins from the home and any environment they are in, and from all body products too. • Remove WiFi from the home (use broad brand plug in only) and get an EMF reading done and mould removed, and smart meter protection or have it removed. • Install a whole house reverse osmosis safe water system. • Remove all plastics from the kitchen and make sure your kitchen ware is safe and toxic free and lead free. 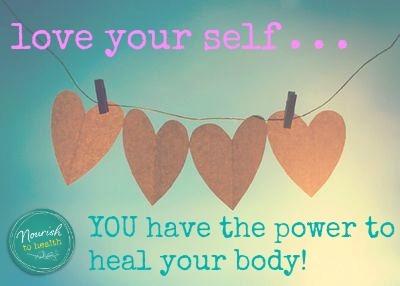 • Hold belief in the power of the body and it’s healing capabilities, learning to get out the way and let it heal… i.e. stop sabotaging it with “treats” and let it do it’s thing. • Repair vaccine damage if they were vaccinated by homeopathy and nutrition. • Remove ALL videos, TV and iPads that stop the brain rewiring and being calm, instead moving to nature, high vibrational music, art, crafts, journaling, yoga, Qigong and games that involve imagination to build up the right hand brain. • Surround your family in a high vibration and with high vibrational people to help elevate the damaged cells in frequency. • Allow time to heal and have faith! • Self care and self love is important for the parents and carers too 💙 you can not heal your child without caring for yourself first and the energy you project effects the child directly. • Unite as a family and ALL get involved with diet changes and lifestyle changes. You will see this as a blessing to heal you all soon. It’s never one thing that heals the body but a collection of approaches and mediums. . . and time! https://nourishtohealth.com.au/wp-content/uploads/2017/02/shutterstock_69211996.jpg 1000 1000 Hannah Miles https://nourishtohealth.com.au/wp-content/uploads/2016/12/cropped-nth-watercolour-banner-logo-tagline-social-media-300x114.jpg Hannah Miles2017-02-28 01:58:142019-02-06 06:39:39HEALING symptoms associated with AUTISM is POSSIBLE - steps of how I did it and how you can too! Protein and Calcium on Raw Vegan Diet! Protein is required for the development of the human body , but the protein consumed should be of the highest quality and is often misunderstood the amount we need per day. In a child it is around 15-20% per day and in an adult is 10-15% per day and in many cases much less. More proteiIn than this can cause inflammation in the body, more so if it is from animal products. Other than Lychees ALL fruit and vegetables have all 8 Amino Acids (protein) and omega 3 fatty acids. There are proteins in everything that grows as long as it’s not a refined food. But If some of our vegan foods don’t stack up against animal foods and are deficient in certain amino acids, they are compensated by their abundance in other goodies and eating verity will help overcome this. Green leafy vegetables and small amounts of a variety of nuts, legumes, sprouts and seeds provide this high level of nutrients and protein. EAT YOUR GREENS AND GET YOUR KIDS TO EAT THIER GREENS DAILY! 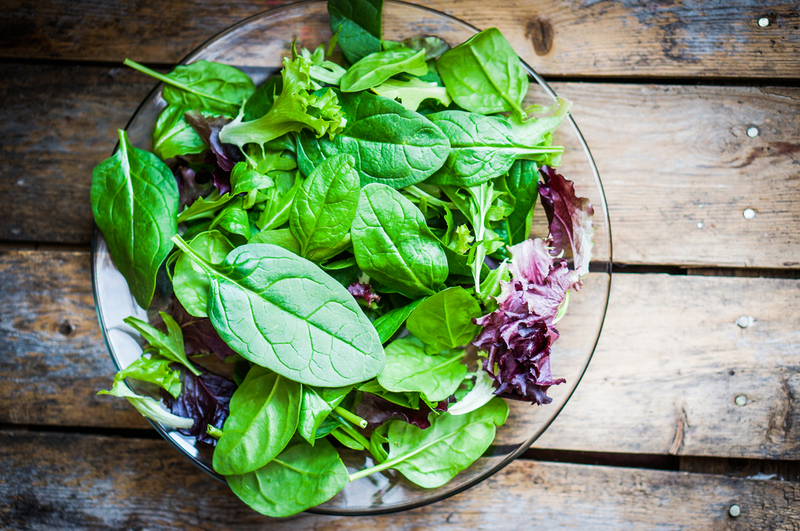 Spinach contains 49% calories from protein. Kale contains 45% calories from protein. Hemp seeds contain 22% calories from protein. Sprouts 44% calories from protein, an excellent source of protein and B12 so perfect vegan food. A pregnant and lactating woman can get all the protein she needs eating verity rich whole food, raw living vegan diet without deficiencies. Eating meat floods the body with protein waste products. The kidneys then need to eliminate these acidic wastes, requiring calcium as a buffer in the process, leeching calcium from the bones. Calcium is continually lost in the urinary waste, and may result in osteoporosis or bone loss. It has been showed now that people who consume dairy in large daily amounts over their lifetime tend to have osteoporosis. Contrary what we are taught! Also excess proteins have a negative effect on calcium stores too because amino acids contain sulfur, which in turn affects the body’s pH balance. Excess Calcium prevents fat absorption within the gut. 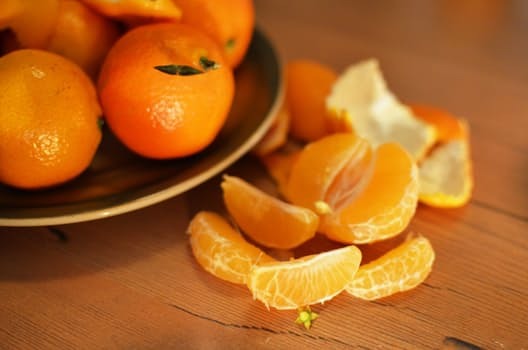 I suggest eating your calcium rich foods like kelp, dulse, celery, broccoli, figs, rhubarb and oranges away from fats and proteins will help and too little calcium will affect your bone and teethe health. Increasing your B12 now will help with protein absorption rather than eating more protein, and K2 for teethe and bone health, as it acts like a public transportation system for calcium. You consume calcium through food like the rich foods above. Vitamin D from the sun ~ the body easily absorbs vitamin D with just 15 minutes of exposure to sunshine per day ~ triggers ergosterol, which is transformed into vitamin D, which helps us absorb calcium from the foods we consume directly into our bloodstream. This will help take the pressure of the body from excuse protein until you can transition to a low fat high carb raw vegan lifestyle. Then vitamin K2 takes the calcium to where it needs to go. Without vitamin K2, calcium can end up hardening in your arteries as plaque, and deposits in the joints, arteries, kidneys, brain and elsewhere. Often we seem to be low or high in calcium when in fact it is due to heavy metal that calcium gets drawn out of the bones and teeth and floats around the blood not being able to be utilised so is urinated out. This means it is present, but cannot be used properly. This condition causes symptoms of both deficiency and excess at the same time because there can be a deficiency of available calcium, and an excess of bio-unavailable calcium at the same time. I do not suggest calcium supplements. The body does not cope well with large amount of nutrients not in a whole foods form being dumped in to the body so doesn’t utilise it and excretes most out. We should eat the food to which we are naturally adapted too which has ample amounts of protein, omega 3 fatty acids, nutrients, and essential carbohydrates. Fruits, vegetables, green leafy vegetables, sprouts, berries, sprouted legumes, nuts and seeds. Not animal flesh to get our protein. spinach 49% calories from protein. kale 45% calories from protein. broccoli 45% calories from protein. cauliflower 24% calories from protein. green paper 22% calories from protein. parsley 34% calories from protein. cucumber 22% calories from protein. lettuce 29% (let that sink in!) calories from protein. cabbage 25% calories from protein. tomatoes 18% calories from protein. apricots 12% calories from protein. peaches 9% calories from protein. sunflower seeds 14% calories from protein. watermelon 9% calories from protein. Yes you can get protein from fruit! beef 25.8% calories from protein. chicken 23% calories from protein. eggs 12% calories from protein. https://nourishtohealth.com.au/wp-content/uploads/2017/03/shutterstock_174457016.jpg 664 1000 Hannah Miles https://nourishtohealth.com.au/wp-content/uploads/2016/12/cropped-nth-watercolour-banner-logo-tagline-social-media-300x114.jpg Hannah Miles2017-02-13 18:50:142018-01-29 07:58:59Protein and Calcium on Raw Vegan Diet! How your thoughts can heal your body. Your mindset can heal your body beyond what food and supplements can do. It has taken me a long time to really connect to this thought but i have seen it over and over with clients. We often put a lot of effort into taking the right supplements, green juices and organic foods that is what our bodies need for fuel and to heal. But with every negative thought or judgment of yourself or others you counteract all that good work you’ve done. Don’t get me wrong eating junk and loving your self is not the road to health but eating well and not looking after your mind allowing ‘chatter’, doubt and self criticism that arises daily is not the answer either. I use to think it was ok to talk to myself and beat myself up in my head. Tell myself I’m not pretty enough, slim enough, talented enough i’ve done it my whole life – hey we all do it, we are all stressed its normal right? . . . but it is not ok and we all do it and we all think the other person has an easier life clear of stress and negative thoughts. Well ladies we all have insecurities and we all think we are not good enough! WHY? In my dream world we would all celebrate each other, support each other’s dreams and love our differences. We would not look at the girl across the street and think I wish I had her car or her hair or I wish my legs looked like hers or my job was as well paid full of envy and jealosy. But we have all heard this before right? Well did you know that every negative thought about you or someone else surges Cortisol through your body and it can take up to 1 hour to process that and disperse it out of the body. It uses up vital minerals and nutrients and stops your body using your fat cells for energy and it therefore runs off of glucose instead which is needed for healthy brain. Meaning it keeps you in that “fight or flight’ state we hear so much about. The mind looks to the past for happy memories to release happy hormones making the future an anxiety fueled place to be. So ladies don’t do it. Live in the now! Stop that ’chatter’ in your head and stop the negative banter and worry especially what others think of you. Live from your heart not your head, be truthful to yourself and your loved ones. We are all in a vulnerable state and need love. If you have someone in your life who judges you and does not give you what you need . . . maybe now is the time to shed yourself of him or her. You don’t need that in your life so only surround your self with those who make you feel great, support your life and when you come away from them feel secure in that relationship. You need to be surrounded by loved ones who get you without judgment and need things in return. It sound tough but in the long run of your life it is best for you. You choose your actions, mindset and path not your parents, lovers or friends so stop blaming them for your life. Yes others actions and your environment may have influenced you, but you have the choice of how you act or respond to life situations. You can either turn a bad situation in to a positive or let that toxic situation eat you up and make you unwell. Been there done that – no thanks! When William was diagnosed I fell in to deep depression after struggling to cope for 2 years it was enough to break me. After hitting rock bottom and I mean rock bottom, with the amazing support of my husband a few great friends I worked my way back up and saw all the positives that can come out of out of our new life path. Like a chance to learn and grow and change, to clean up our lives from chemicals and toxins, eat cleanly, live within our means with joy and simplicity. Not to take material things for granted and to stop climbing ladders and striving for goals that are unreachable and unimportant and to share my journey and help others. I had to go through an element of grieving for the life I thought I’d have but now every decision we make or step we take we ask ourselves is this best for the boys our family and in line with our values. This has led us to set up our businesses and we have met some truly beautiful friends on our journey to health who have shown us what’s important. We are told often to ‘let it go’ and my dearest girl friend and I often laugh at what that means when you’re stressed, up to your eyeballs and exhausted. But over time we have both learnt it means to forgive ourselves, to be kind to ourselves and to let the small things, like a clean floor or perfect makeup or being on time go. These things are all surface things. The true importance is love, health and wellness of mind and compassion for each and every person. The rest you can ‘let go’ really you can let it go and that comes from a control freak with OCD for a clean house haha, you should see my house now! Mediation: there is a common misbelief that to meditate you must have a totally blank mind. If you can achieve that, then that’s amazing. But you still get the benefits if you just slow down . . . breath deep belly breaths -In from your nose belly expand and out from your nose belly falls. Even 10 deep breaths will calm your nervous system down. If you find clearing your mind difficult focus on one thing like a candle flame or a tree and hold that thought for a long as you can. If stuff enters your mind sweep it away with a big brush and start again. Laugh at your thoughts and keep trying. Your ego wants to be “chatting” all the time. Don’t let it take over who you are. We use apps on our smart phones to start our mediation off each evening and they are handy if you are in the car before school pick up or a big work meeting. Yoga can help with this too and walking in nature daily. Mickel Therapy: which is talking based therapy about taking action when an emotion arises and moving through it fast to clear you physical symptoms. Homeopathy: which works on lowering your level of stress building your nervous system and supporting you whilst you heal. I have used Dhanvanatari Collage and also more recently Michael Higginson in Geelong to support me. A gratitude diary: I write 3 things I am grateful for each night in my phone. This helps me see the positives in the day, even if there were more negatives. So that last thing I think about are positives. We do this with the boys each night too, we talk about their day and pick 3 great things that happened and not dwell on what they may have done wrong or if they were upset. Debt Clearing: no matter how hard it is if there is something upsetting me or someone had said something that has hurt my feelings I clear the debt by talking it through and not going to bed on it. This means setting boundaries and protecting myself first. It does not mean confrontation or stomping back in to a shop because someone was rude to me. Just simple clearing the air so it does not fester and become a physical symptom. Happy list: each week I look at my dairy and decide if the tasks in it are + or – and if I have more – than + I plan a trip to the movies, yoga or catch up with a friends or get my nails done to balance up the week. This is putting joy into my life. Making sure I don’t get bogged down with the task of mother hood and running a house or running a business and not going without joy and fun for my being. Its unrealistic to think I can spend my time just in the + zone but if I have a few to look forward to it keeps me from feeling a lack of joy. The body is amazing it likes joy and fun and if it doesn’t get enough it makes you go back in the mind to find it. So feed it joy and fun and show it love and it will keep you in the now and physically strong. When you feel you’re self ‘chatting’ in your head STOP be aware – take action – and practice – clear your mind and start again. When you have a week of – plan some + joy and fun! Write down your gratitude list each evening. Debt clear every night and set boundaries so your not being hurt. Put yourself first and remember to love yourself and do your self care daily be that a new nail polish, a cup of tea in peace or a day in a spa to unwind or talking to your best friend. As woman we put our children, partners or bosses first . . . please stop that we come first! I find as i’m a visual learner I write positive athermations on my walls, mirrors and on postie notes in my car and keep them on my phone to remind me how to think and act. If you are a kinetic learner maybe you could listen to self help books. Find what works for you. . . and roll with it! The only person that can heal you is YOU! The only person that can truly make you happy is YOU! Choose to be happy and to live in the now, not the past or future, as that is where anxiety and fear is bred from. 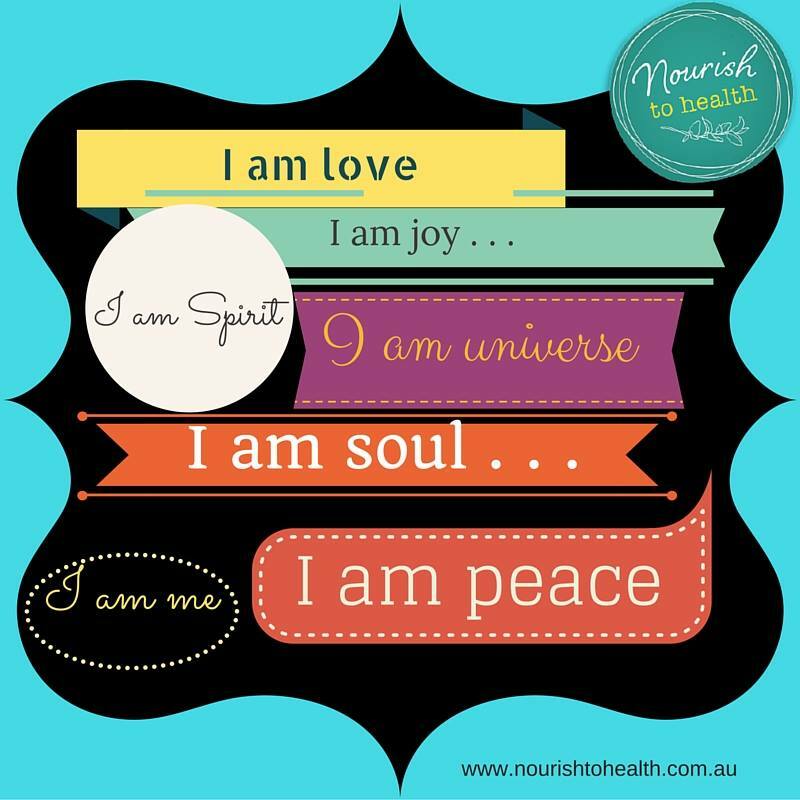 https://nourishtohealth.com.au/wp-content/uploads/2016/05/hannah_welcome.jpg 2067 2067 Hannah Miles https://nourishtohealth.com.au/wp-content/uploads/2016/12/cropped-nth-watercolour-banner-logo-tagline-social-media-300x114.jpg Hannah Miles2014-10-06 17:52:472018-01-29 09:51:06How your thoughts can heal your body.